Your home is the ultimate showcase of your style – the colors, textures, and décor that you choose all work together to create that feeling of you. Every homeowner’s vision is different, and every design reflects your individuality. 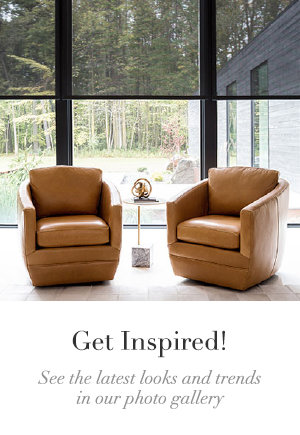 At The Shade Store, we’re passionate about bringing your style to life, whether it’s classic, eclectic, modern rustic, or somewhere in between. We constantly strive to bring you the highest quality window treatments with fashionable, beautiful, and functional materials. 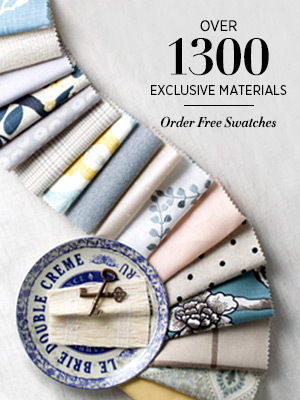 With hundreds of combinations to choose from, our shades, blinds, and drapes are the epitome of versatility. 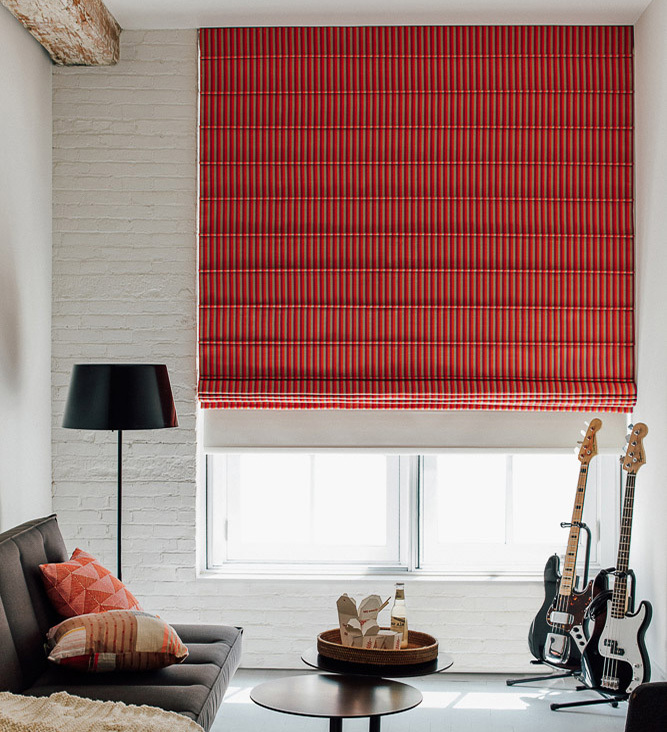 As we wrap up 2015, we want to share with you some of our favorite unique window treatment ideas. 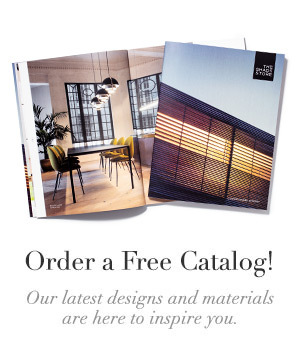 We hope you’ll find inspiration in the photos below, as well as encouragement to fully embrace and express your style in your home. If you don’t have room for a sprawling desk or an expanse of wall covered in built-in bookshelves, that doesn’t mean you can’t create an office space. A simple corner of the bedroom or living room will do if you’re pressed for space. 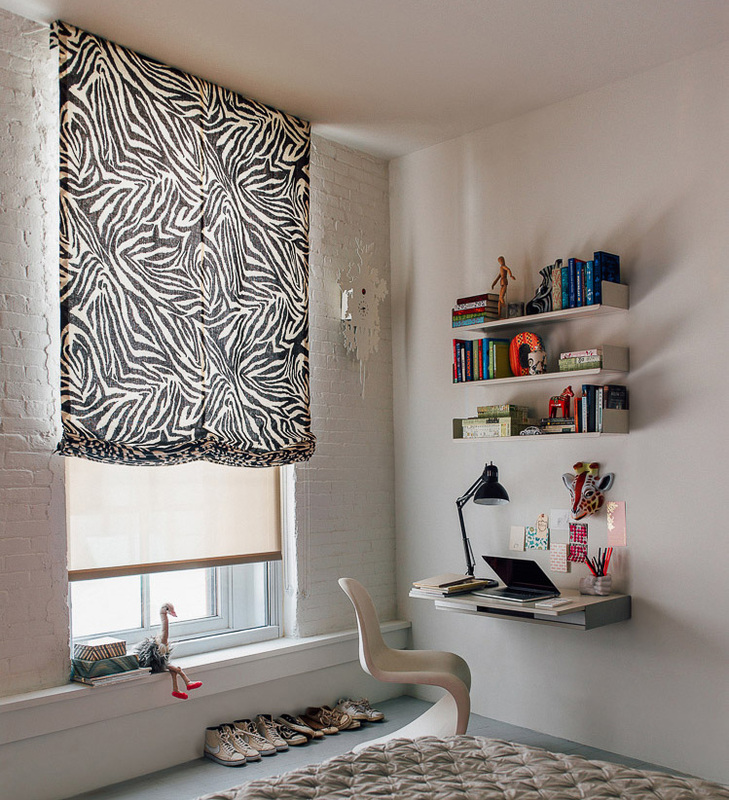 To add some zest to a tiny home office, we love this flamboyant Relaxed Roman Shade in Diane Von Furstenburg’s Funkyzebra pattern. Relaxed Roman Shades are well suited for windows in bedrooms and other intimate spaces, where the shade will not be frequently raised and lowered. This shade has also been accented with a Solar Shade beneath it. Neutral colors make your bedroom a soft oasis of light and comfort. Wall-to-wall drapes make the room feel open and spacious, giving the illusion of wide, expansive windows. A chevron print adds a chic feel to the room without being overpowering or loud. 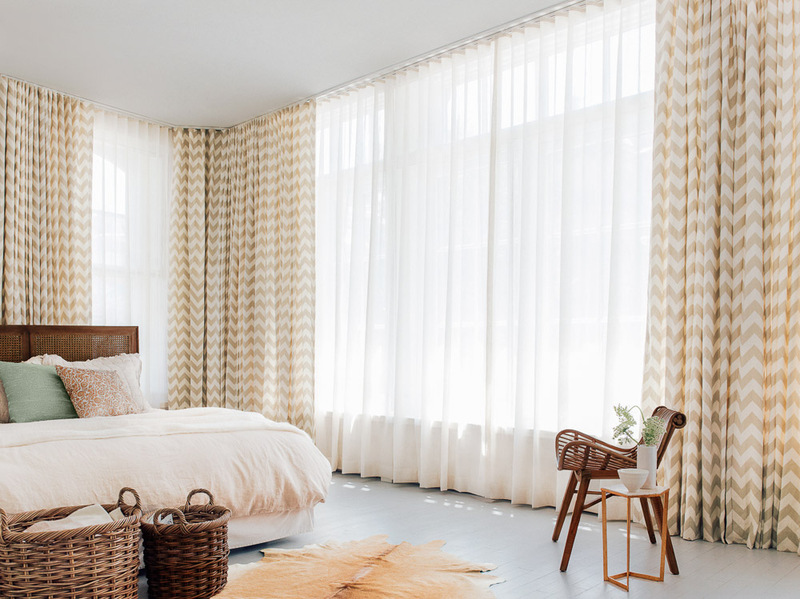 This bedroom features Ripple Fold drapery in Limitless by Jonathan Adler, with Sheer Brilliance drapery underneath. Ripple Fold drapes are perfect for bedrooms because they slide smoothly along a track, making it easy to throw open the drapes when you wake up to welcome the morning sunlight. If you prefer a darker space in which to sleep, you can add a blackout lining to your drapery. In this cozy space, a light filtering shade helps create an ideal environment for the avid reader. 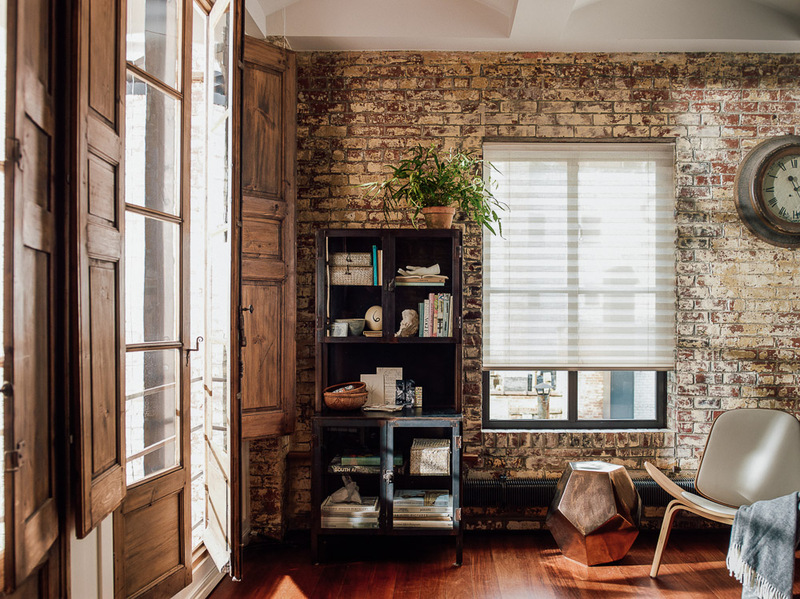 A simple solid shade contrasts with the rough, textured feel of the exposed brick wall. The atmosphere is warm and homey, with the rich earthy tones of wood from the wall and the floor echoed in the red and painted brick. Shielding the room from the sun’s brightest rays, the XL Pleated Shade in Creme bathes the nook in the soft glow of natural light while also providing moderate privacy from the neighbors. From adventurous paisley prints to subdued Japanese paper, XL Pleated Shades can adapt to any room. Industrial chic at its finest! This living room incorporates a concrete wall with a bold pop of teal for a clean, modern gathering space. This style is uncomplicated, clutter-free, and fresh. 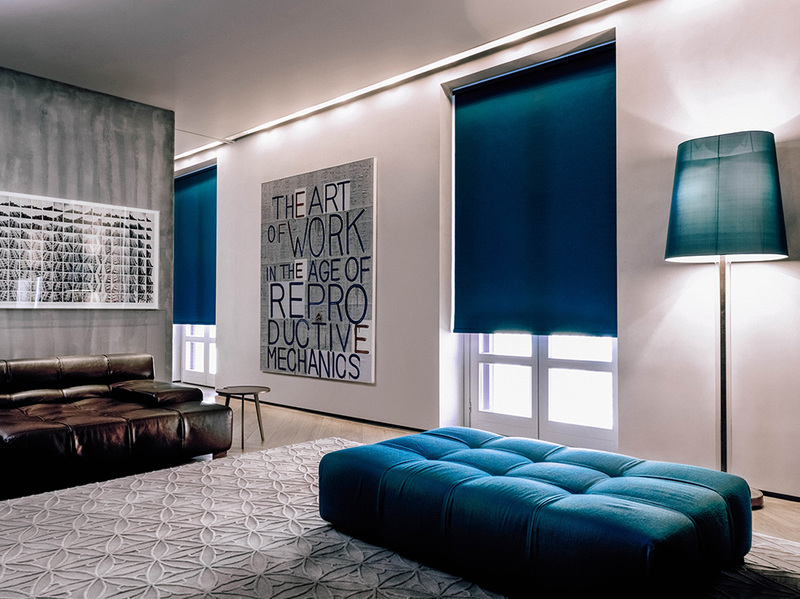 Roller shades embody simplicity and minimalism, and make every window look sleek and polished. Blackout shades in Teal are excellent for rooms with televisions, as they can be lowered during the daytime to remove glare on the screen. To create art, one needs an inspiring space. Pops of red and fuchsia amp up the energy in this guitar room, getting the creative juices flowing. The stunning Aventura Roman Shade is the centerpiece of the design, accented by simple black furniture. The vertical lines in Jonathan Adler’s print Nolan accent the horizontal aluminum dowels sewn into the Aventura Roman Shade. This style creates a pleasing stack when drawn up, and an eye-catching surface when lowered. Roman Shades can be made in more than 450 different types of materials, so your imagination can run wild with this design. We’ve showcased 5 very different approaches to window treatments, all creating their own mood in their respective rooms. If you’d like to share your style with The Shade Store, we would love to see it. Please share your photos with us on social media, or send photos to social@theshadestore.com.